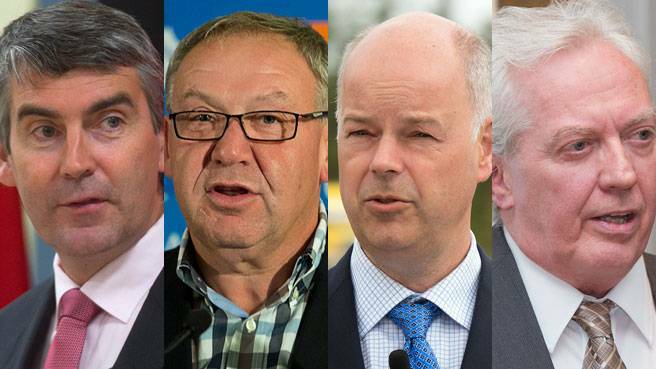 The Gazette has assembled some of the election promises made by politicians that we believe may be relevant to you. We are a first step and should not be the last. We encourage you to go to the polls on Tuesday, Oct. 8. Require universities to provide prospective students with information about job prospects in their fields. Introduce a five-year Memorandum of Understanding (MOU) with universities, basing tuition caps and provincial funding on the institutiton’s performance and standards. Create graduate student scholarships for research and innovation. Eliminate interest on provincial portion of student loans. Allow apprentices to earn hours out of province and access block training more easily. Provide incentives for companies to hire apprentices. Expand Student Career Skills Development Program. Lobby federal government to increase number of immigrants Nova Scotia can accept under provincial nominee program. Introduce a law requiring that all provincial entities give preference to purchasing local produce. Create Graduate to Opportunity Program to increase youth employment. Create Premier’s Immigration Advisory Council to improve system. Promote Cape Breton and Halifax as tourism destinations and improve tourism signage. Help new graduates buy first home. Incentives for companies to hire apprentices. Introduce Five Year Transportation Strategy to clarify provincial government’s role in providing transportation infrastructure. Invest in public transit and community-based transit inside and outside capital region. Expand the provincial highway plan to a multi-year plan for local roads. Reduce HST to 13 per cent. Reduce HST as soon as there is a sufficient budget surplus. Reduce HST by 1 per cent annually in 2014 and 2015. Provide incentives for doctors to work in rural areas. Permit pharmacists to provide more services. Fund insulin pumps for Nova Scotians up to age 25. Provide $120,000 in tuition relief for up to 25 doctors per year for four years in exchange for rural service. Add five more Collaborative Emergency Centres, which are essentially 24/7 hospitals. Work with doctors to provide same day or next day appointments for primary care. Reduce size of government and review all government services and programs. Create an Ethics Commissioner who can compel MLAs to repay misspent funds. Set fixed election and budget dates. Perform full audit of the province’s finances, implement a plan to balance the budget. Appoint a board for the Nova Scotia Housing Development Corporation. Balance the budget for next four years.